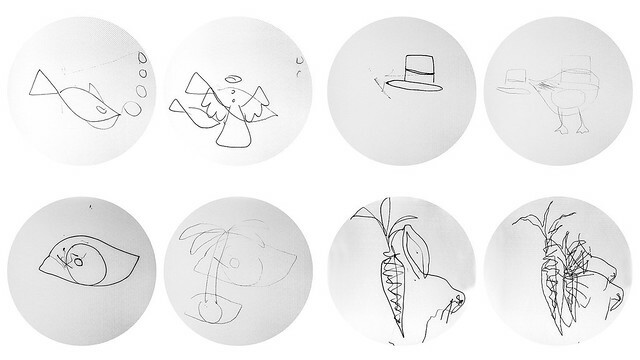 While simple pen strokes may not resemble reality as captured by more sophisticated visual representations, they do tell us something about how people represent and reconstruct the world around them. The ability to immediately recognise and depict objects and even emotions from a few marks, strokes and lines, is something that humans learn as children. Machinic Doodles is interested in the semantics of lines, the patterns that emerge in how people around the world draw – what governs the rule of geometry that makes us draw from one point to another in a specific order? The order, speed-pace and expression of a line, its constructed and semantic associations are of primary interest, generated figures are simply the means and the record of the interaction, not the final motivation. 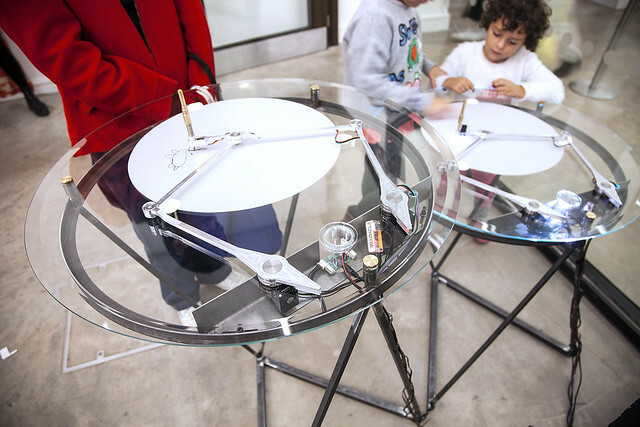 The physical machine is a bespoke drawing mechanism comprising of custom machined aluminium arms + pen apparatus, Dynamixel smart actuators, interactive lighting elements, bespoke glass + steel stands. 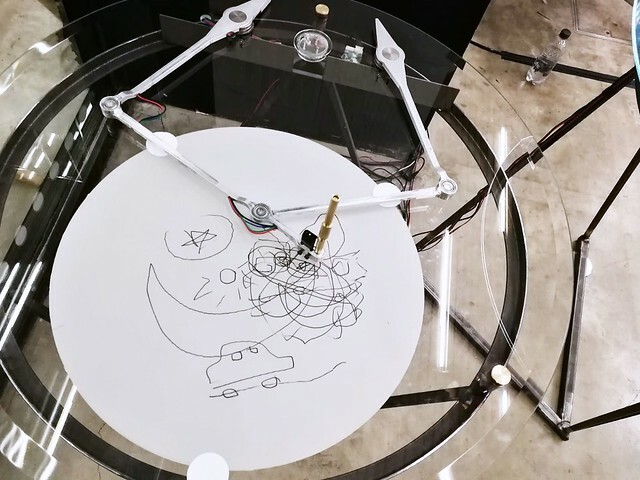 NORAA was exhibited as a live, interactive drawing game installation: ‘Machinic Doodles’ at the V&A Museum’s Digital Design Weekend 22-23rd September 2018. The installation allowed members of the public to draw with NORAA, and to contribute drawings to the exhibition. Thank you: James McVay, Krina Christopoulou, Naomi Lea, Ed Taft, Jess Chidester. Thank you also to IALab, Ruairi Glynn, Sean Malikides, Alice Whewell for their advice and support. Irini Papadimitriou, Atau Tanaka, Theo Papatheodorou from Goldsmiths + V&A. Project made possible through the Bartlett APF Grants, exhibition at Digital Design Weekend through Goldsmiths Computational Arts Residency.